This comes as the Taser X2 is authorised for use by police forces in England and Wales. The Home Secretary has today announced police forces will be required to collect and publish detailed data on all their use of force, including Taser usage, from April. Adopting the recommendations of the David Shaw review into police use of force, Amber Rudd said officers will have to record the location and outcome of all CED usage, along with the ethnicity and age of those involved, with the first set of data being published locally by forces this summer. And she said the new rules being introduced would allow the increased safeguards and transparency required for the introduction of the new Taser X2 device. All police use of force, including physical restraint, will be captured in the new statistical publications – to be collected from April 1 and published by forces from July onwards. The increased transparency and scrutiny will allow meaningful comparison of the effectiveness of different techniques and tactics for the first time. We ask the police to put themselves in harm’s way to defend us and the use of force is a vital part of their powers. But when the police take the difficult decision to deploy force it is also vital that the people they serve can scrutinise it. These new rules will introduce unprecedented transparency to this important subject and reinforce the proud British model of policing by consent. The government is committed to improving the transparency and accountability of the police’s use of force. In 2014, the then Home Secretary, Theresa May, asked former National Police Lead for Conflict Management, Chief Constable David Shaw, to lead a review into what data should be recorded and published. Work has been undertaken by police forces to implement the new data collection system recommended by the review by 1 April 2017. 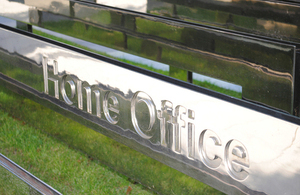 Forces will publish the information locally on a quarterly basis, and provide an annual snap-shot of the key information collected to the Home Office as part of the Annual Data Requirement for 2017/18. For the first time, these data will allow meaningful comparison of the effectiveness of different techniques – which will strengthen police training, tactics, decision-making, and equipment procurement. In authorising the new Taser, the Home Office has supported the police in an open and transparent procurement exercise to identify a new device that will eventually replace the current TASER X26. As with the authorisation process for all less-lethal weapons, the X2 has undergone extensive evaluation. A full technical evaluation has been carried out by the Centre for Applied Science and Technology (CAST), and the results of that, user handling trials, training and guidance materials were submitted for an independent medical assessment by the Scientific Advisory Committee on the Medical Implications of Less-Lethal Weapons (SACMILL). The Committee confirmed that the medical implications of the TASER X2 are in line with those expected of a less-lethal weapon of this type. Details of all CED deployments will be recorded by the police and shared with SACMILL on a regular basis to ensure its findings remain accurate. The government is committed to giving the police the tools they need to do their job effectively – we must ensure our officers have access to the best, and most up-to-date technology available. Tasers are an important tactical option for the police, particularly in potentially violent situations where other tactics have been considered or failed. All officers who use Tasers have to go through a comprehensive training process. This includes training officers to factor in the potential vulnerability of the person and factors such as age and stature when assessing each situation. David Shaw was Chief Constable for West Mercia until July 2016. You can read his use of force data review. Read the TASER X2 SACMILL medical assessment.